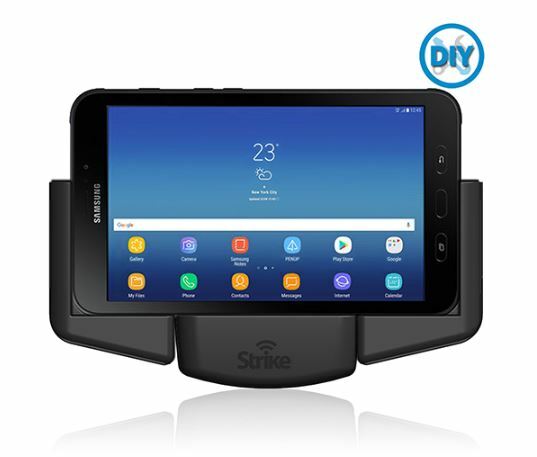 This Strike Alpha Galaxy Tab Active2 Vehicle Mount is suitable for both indoor and outdoor setup, it can be mounted in most vehicle types – buses, trucks, forklifts, cars and more. 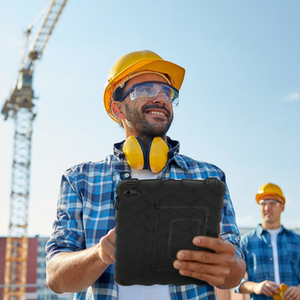 Strike Alpha for the latest Galaxy Tab Active 2 is exceptional and efficient for the demanding requirements of enterprise users. This Tab Active2 car cradle comes with a built-in fast charger and can help boost your mobile signal once connected to an external antenna even in rural areas. This new cradle is powered with POGO connector for superior charging capabilities. This is an easy do-it-yourself package. 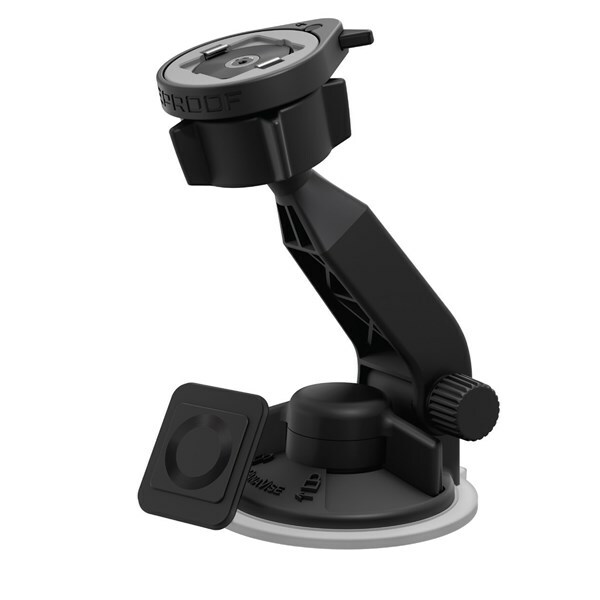 Simply insert the cradle to windscreen mount provided, plug the supplied car charger to the cigarette lighter charger and you can immediately use your tablet whilst driving! Can work with any Bluetooth car kit. Strike’s electrical engineers have designed the DC / DC converter to OEM Automotive manufacturing standards to ensure the fastest charge, with voltage spike protection, and no EMI Electromagnetic Interference. 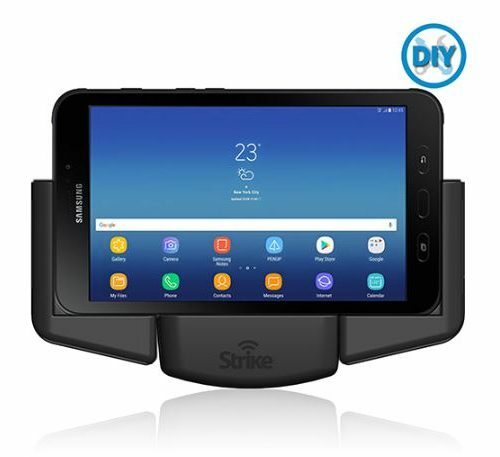 Strike has conducted an enterprise mobility case study on the necessity of high amp charging with the Samsung Tab Active2 Holder. You can download it, here. Video version can be viewed from Strike’s Youtube page. 3 in 1 Smarter Solution: Secure, charge and record. 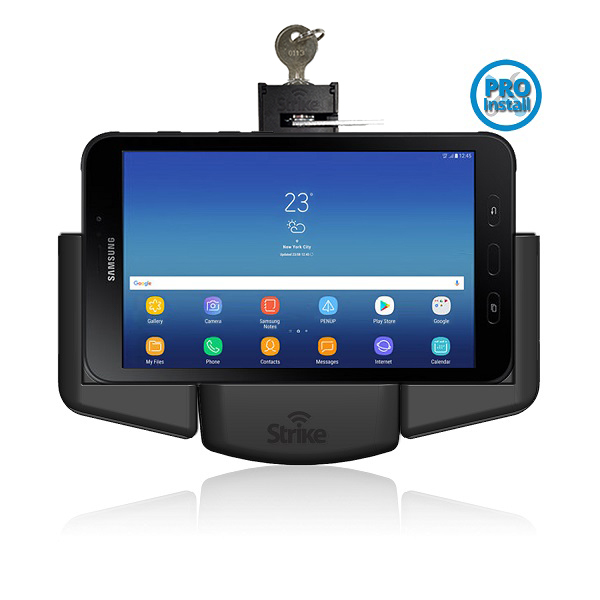 Use this Alpha Cradle and turn your Samsung Galaxy Tab Active 2 into a dashboard camera once AutoGuard Dash Cam app* is installed. 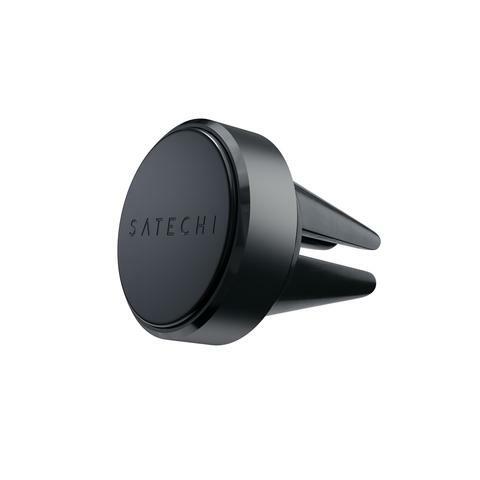 Record your driving and charge your device simultaneously. Save costs, no need to purchase a stand-alone dash cam kit. 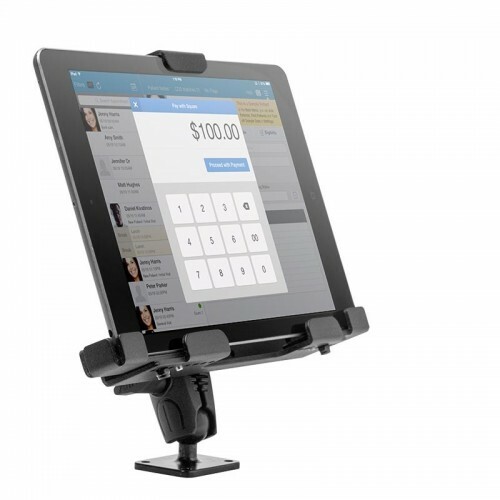 Plug ‘N Play – With this car mount’s superior design, you can simply select the new cradle component that will suit your new tablet and attach it in your existing Strike Alpha’s mount. There’s no need to reinstall or change the mount. Easy Integration- Fully pass through compatible, this cradle will allow your Alpha Cradle to be used with any available Bluetooth car kits, entertainment system or personal computers. 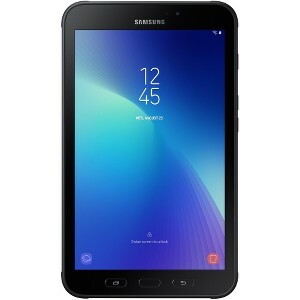 It can hold, charge and protect your Samsung Galaxy Tab Active2. * For Android, you can download AutoGuard Dash Cam – Blackbox App for FREE. Various Dash Cam Apps are also available for free download for IOS.